The Royals are adding to their bunch…Kate Middleton wanted to keep this a secret for a bit longer but…..
You do not have to keep your tattoo a secret any longer – Hackensack Medical Laser removes your tattoo using our advanced laser machines. Our Board Certified doctors provide our clients with a FREE CONSULTATION. Hackensack Medical Laser treats all of our clients as if they are royalty! So, congrats to Kate and we look forward to meeting you! 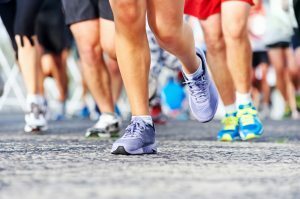 Toenail fungus is not a conversation people want to have, but importantly it is a problem that no one wants to have period! We here from so many people that the fungus disappears but then suddenly reappears for no reason, or so it seems. We may have come in for laser treatments to cure the fungus issue but have not bothered to address the issue in all of the shoes we own. It goes without saying that if we do nothing in regard to eliminating that fungus in our shoes it will certainly be happy to occupy our feet again. The most widely accepted method is to use a steri-shoe sanitizer. This is an insert that can sanitize all of your shoes for a fraction of the cost of replacing them. So- it is great to say good-bye to the fungus but make sure that you bid farewell to ALL of it! Consultations are free- so come in and see what we can do to help you. We will even listen to the break-up story- if that helps! Darned Tired Of Seeing That Picture On Your Shoulder? Either we are talking about what people wore to the Emmys or the new Fall Fashion line. We are constantly looking for the newest, creative, inspiring, original, flattering pieces for our wardrobe. Are you thinking what I’m thinking? Right- what happens when you just get so darned tired of seeing that picture on your shoulder. When you can’t wear an outfit because it will clearly be “ruined” with that tattoo from days gone by. Seeking the right removal is key. Hackensack Medical Laser is a premiere treatment center. Our doctors are Board Certified and we use the newest technology in laser treatment. No need to worry about missing work- we have evening hours. Lunch break? Sure we can accommodate all these needs. So don’t let one of those pictures from the old days interfere with your fall fashion- we can help. Can You Believe Joan Rivers Is Gone? No Neither Can We? But she certainly would have a lot to say about those pictures all over the body- better known as TATTOOs. Without a doubt she would recommend some cosmetic alteration- better known around here as TATTOO REMOVAL. Hackensack Medical Laser provides the most advanced laser removal for your tattoos. Do you want to be treated by Board Certified Doctors? Is your tattoo in a hard to reach place? No problem. Is your tattoo in many colors? No problem. Has your tattoo been on for many years? No problem. Are you concerned about the financial burden? No problem. Do you have time constraints? No problem. Would you like Free Parking? No problem. Call today for your FREE CONSULTATION- See you soon! Bye Bye Jeter…..we hate to see you go! Bye Bye Tattoo…we can’t wait to see you go! What a send-off that Derek Jeter just experienced. 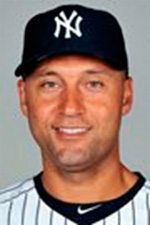 Hackensack Medical Laser has developed a group of fans (ok not quite as large as Jeter, but getting close) that is thrilled with their TATTOO removal. The Board Certified Medical Doctors provide top notch service- our fans will all attest to that! We are conveniently located in Hackensack, New Jersey. Our office is equipped with the latest in laser technology. No beer or peanuts but FREE Consultation, FREE Parking, and a Starbucks on the ground floor. Wishing Derek the best- give us a call 201-646-0110 and get the Non-World Series Discount…it only happens once a year! 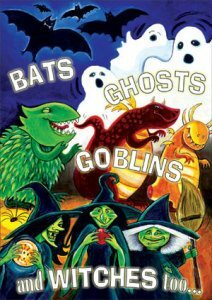 Goblins, Witches, Monsters… What Will Be Your Costume This Year? When we hear the word “Fungus” unless it is in relation to some great new exotic mushroom we start to feel uneasy. Toes have been the unfortunate recipients of the unpleasant toenail fungus that can be very uncomfortable and disturbing to experience. I am sure that you have heard this cute little rhyme- “once the fungus is among us” (ok maybe you haven’t- might not be as popular as I thought) you will want to quickly and painlessly wish to remove it. Many people have tried both over the counter medications or home remedies and have been unsuccessful in removing the stubborn toenail fungus. You must not give up- as we do have a SOLUTION. Our pinpointe laser machine is a state of the art, newest technological laser machine offer our patients the cure that they are looking for. Our Board certified doctors are experienced health care professionals providing answers, support, and service for each individual. No question is silly. Each person is clear about their treatment and the process that will be taking place. We have day and evening hours and can be reached by phone with any question that you may have. Call Hackensack Medical Laser today for your FREE CONSULTATION 201-552-4240. So….what are you waiting for? See you soon! BTW- Post Marathon Monday Special/ 30% off toenail treatment (1st time customers only)..